The perfect summer day dress. You know the drill at this point – Kate wears something and it’s an instant sell-out. Yep, the Duchess of Cambridge is single-handedly responsible for making half the items on the Zara website go out of stock and this gorgeous summer dress is just the latest example. Yesterday, the Duchess was sat watching from the sidelines at a polo match with Prince George and Princess Charlotte, as Prince William played alongside his teammates. 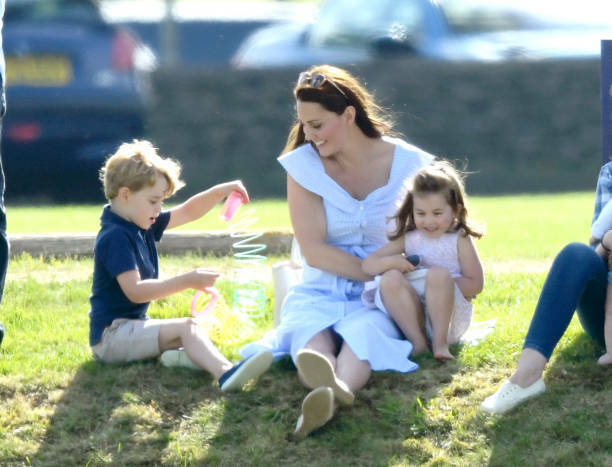 And while most were looking at the game, our eyes were firmly glued to Kate and the young Prince and Princess as they played in the grass close by. 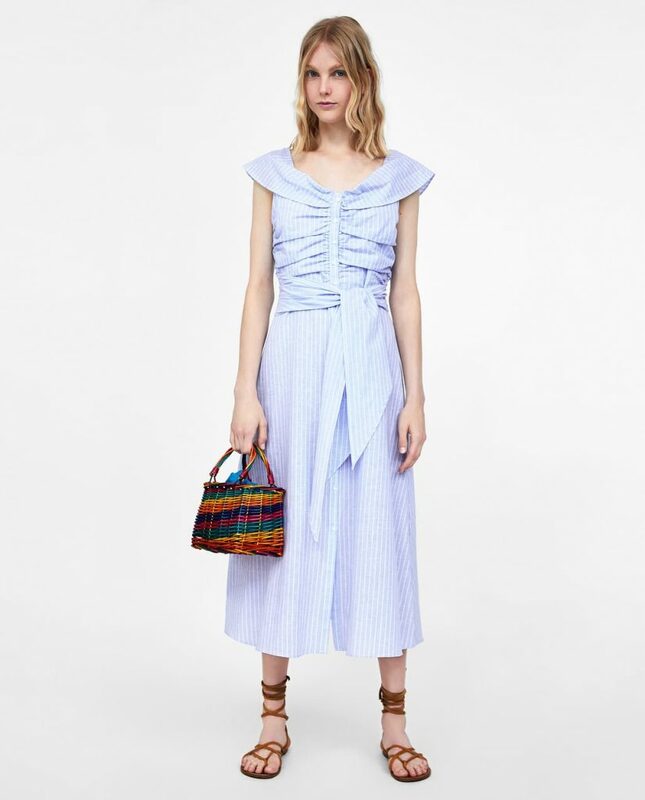 Opting for yet another Zara summer dress, Kate is responsible for yet another addition to our wishlist and this time it’s in the form of this striped off-the-shoulder dress in baby blue. No surprise, the €50 gúna is already completely sold out, although you can sign up for email notifications for when it’s back in stock. Or you can keep refreshing the page like we’ve been doing since we saw it this morning.